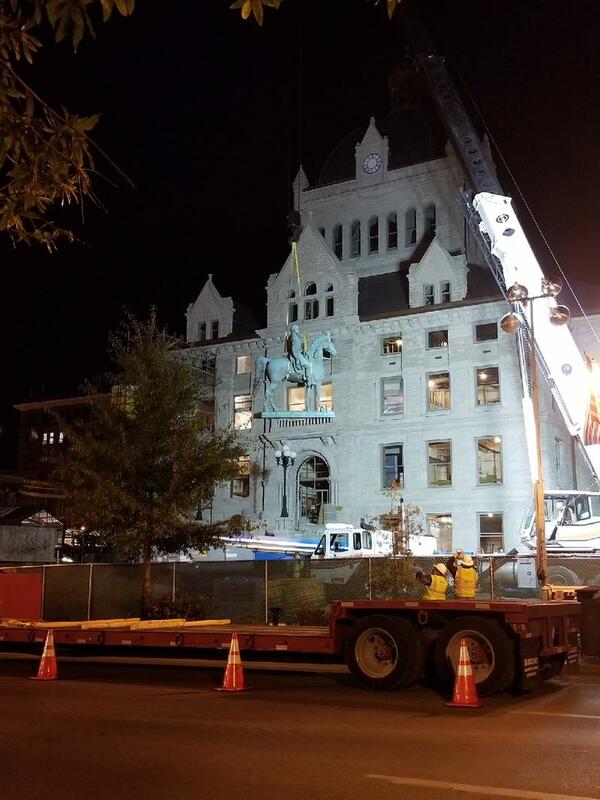 As WEKU’S Stu Johnson reports, the removal came yesterday Tuesday evening following a ruling by the state’s attorney general. 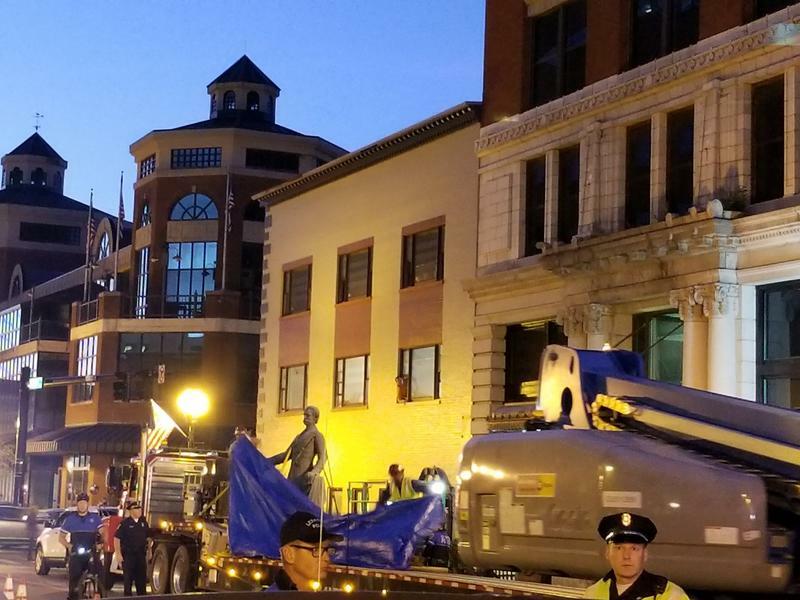 The cry "Take Back Cheapside" went up just after midnight just as the statue of John Hunt Morgan was placed on the bed of a truck on Main Street. The likeness of John Breckinridge had been lifted earlier in the evening. 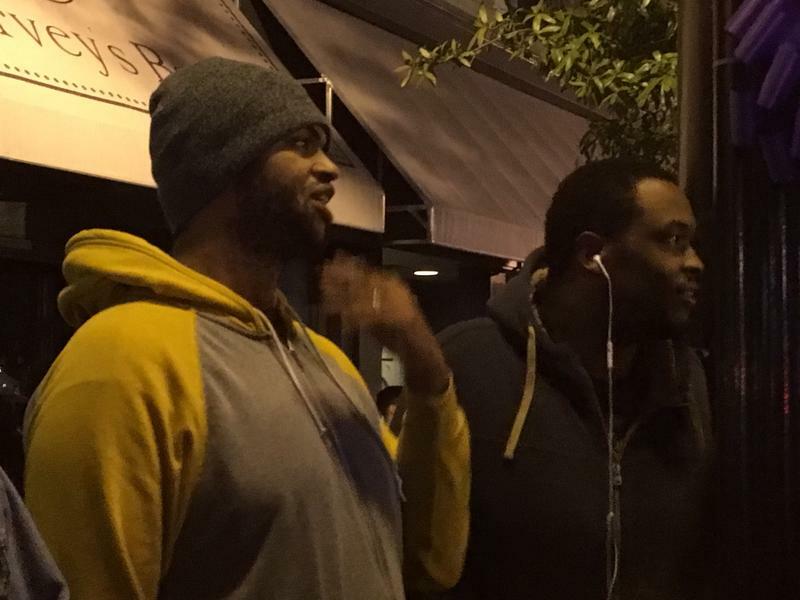 Rebecca Lamey said she stopped by after she got off work to observe a “historical moment.”. 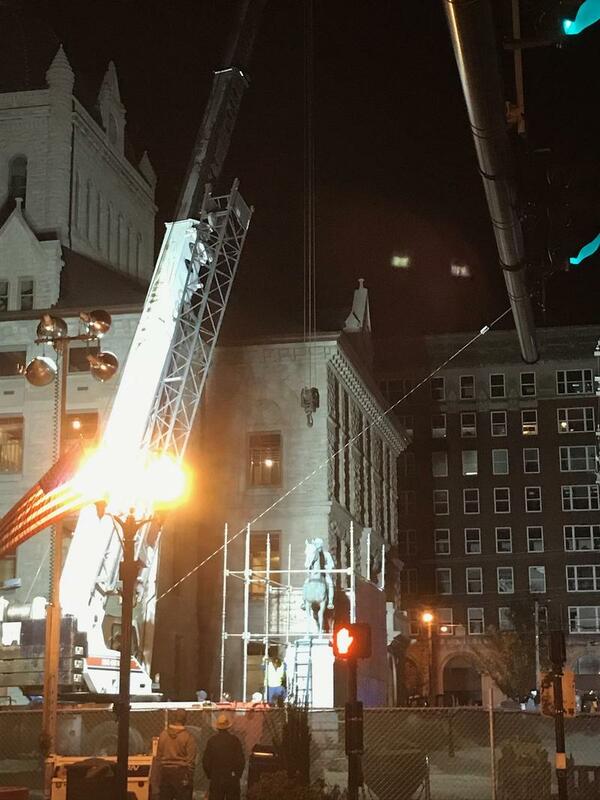 The surprise movement of the two statues was arranged after Attorney General Andy Beshear issued a legal opinion saying the Kentucky Military Heritage Commission doesn’t have jurisdiction over the statues. Lexington officials thought they needed the commission’s backing before any movement could occur. The Breckinridge and Hunt statues sat near Cheapside where slaves were once sold. 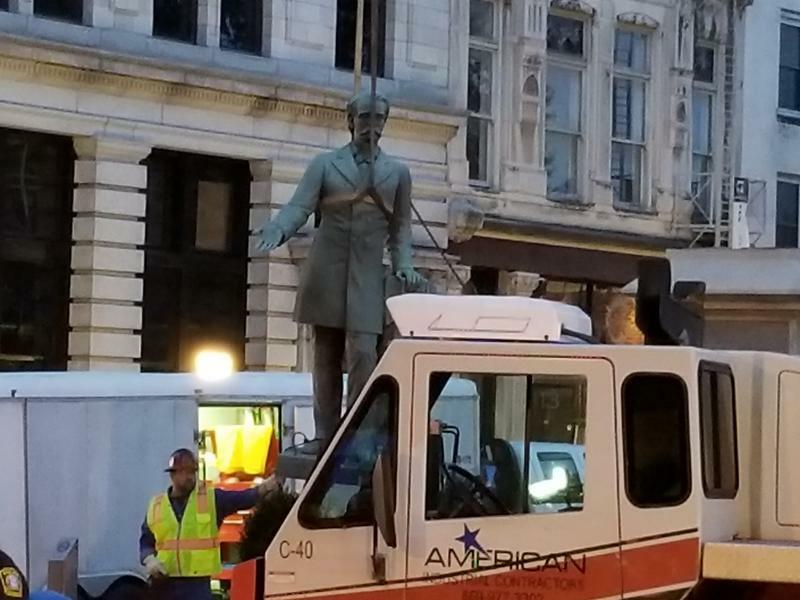 The Lexington Fayette Urban County Government began the removal process following an opinion of Kentucky Attorney General Andy Beshear that stated the state’s Military Heritage Commission did not have legal control of the statues. 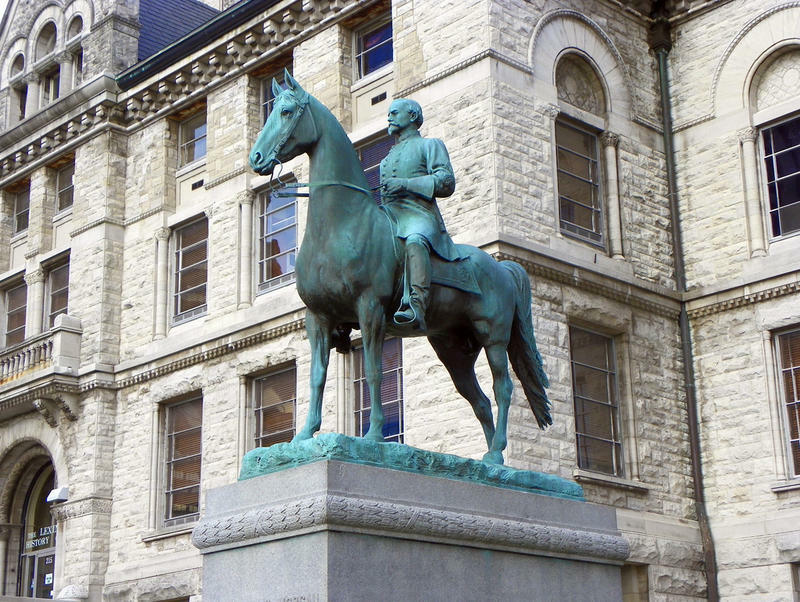 The attorney general confirmed that Lexington Mayor Teresa Isaac did not receive authorization from the Urban County Council when she signed an application to have the statues designated as Kentucky Military Heritage sites in 2003. The mayor’s office says the statues are being moved to a private storage facility until the agreement to locate them at the Lexington Cemetery is finalized. 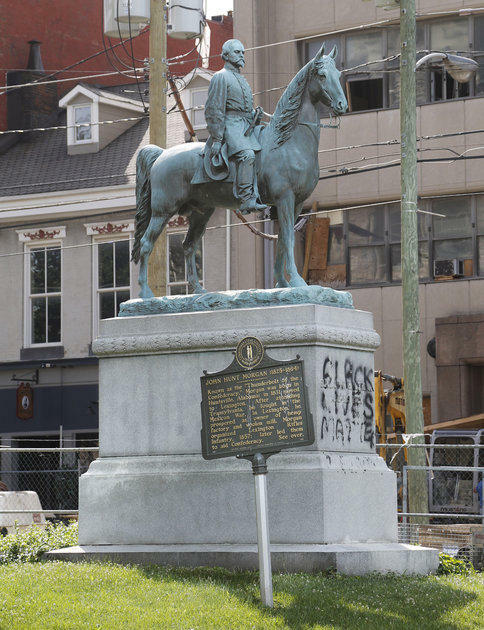 Lexington Mayor Jim Gray will ask the urban county council this week to petition the state to relocate two confederate monuments that stand in the heart of downtown. In a Youtube video released Sunday, Mayor Gray said his family has ties to America’s Civil War. 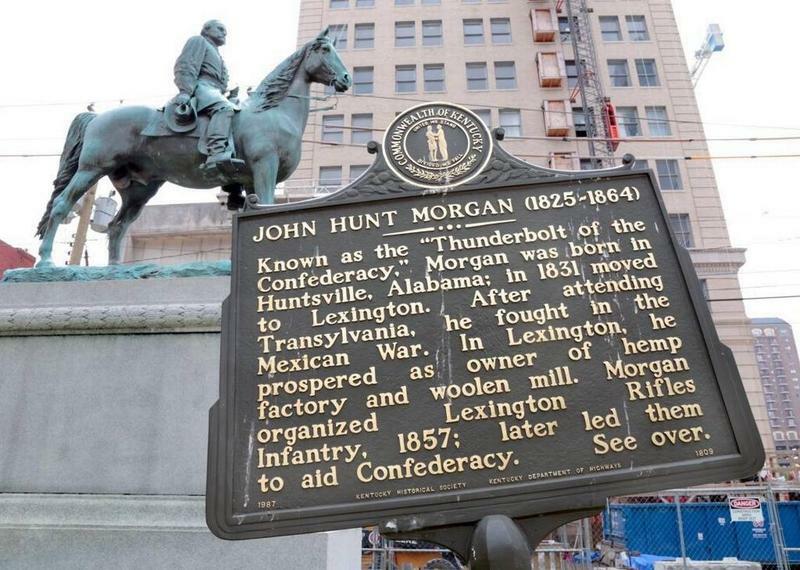 Two civil war related statues and a historical marker in downtown Lexington are at the center of a review. The Urban County Arts Review Board heard from Mayor Jim Gray Wednesday. 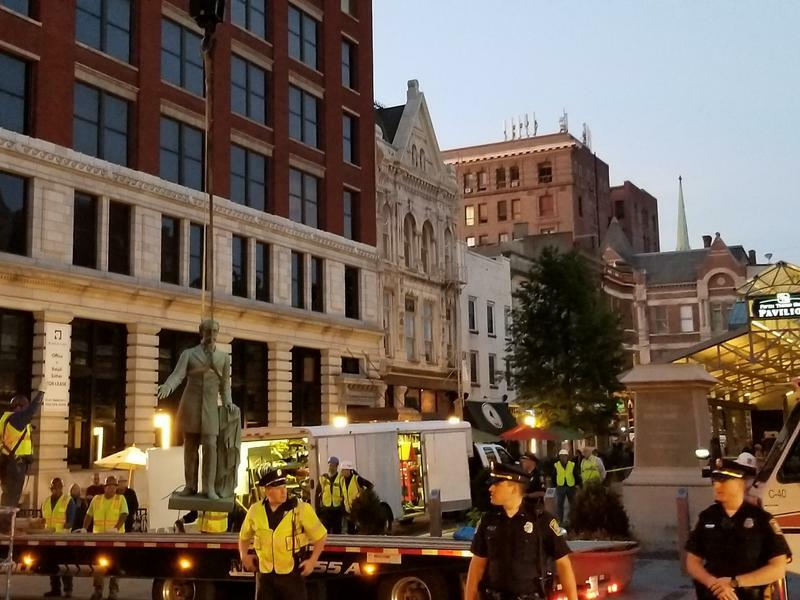 Following the deadly white nationalist rally in Charlottesville, Virginia, Kentucky's second largest city is discussing the removal of two Confederate statues from its downtown. Now a white nationalist group has announced plans to hold a rally in Lexington.